The latest version takes a radical redesign. It escapes from the usual textured paper and wood design that people have been familiar with for the longest time. The intention behind it is simplicity, utility and enjoyment from the user’s perspective. The famous personal assistant gets a new look and sound. You can choose the voice to be whichever gender you prefer. Besides that you can even check Wikipedia and Twitter with Siri’s help. 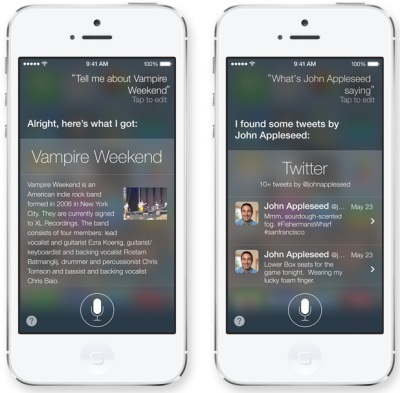 Siri will also take on some more work like playing voice mail, controlling iTunes Radio, etc. Soon maybe you’ll be able to outsource all your business work to this improved virtual assistant. The new app in the iOS 7 gives you all the shooting formats at the touch of a swipe. 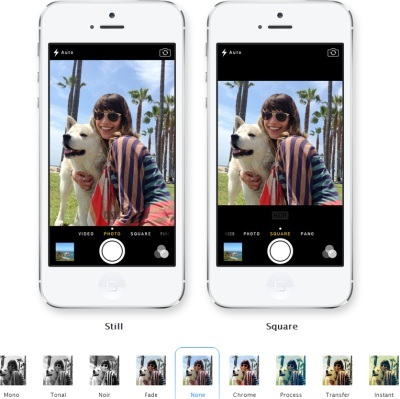 It will now capture “square” images making it easier to upload them on Instagram. The new filters and arrangement according to location and date will also enhance user experience. Didn’t you hate that little red icon constantly asking for an update while you were working? The new iOS will solve that issue for you by automatically updating apps for you in the background. Another feature called “apps near me” will tip you about popular apps based on your location. 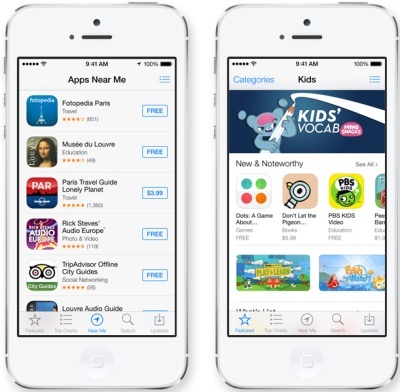 It will also have an age curated selection of apps for kids. 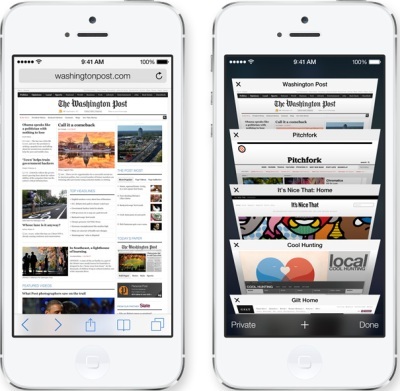 Safari has undergone a thorough change in the latest iOS. It now follows the tab system which will enhance the overall browsing experience. The browser can also generate new password for you every time you create a new account on a site and also remember it for you. Moreover, it can sync all your account details to iCloud securely. iOS 7 ensures that it schedules app updates only during efficient times. That will help in saving precious battery power. Moreover, it learns your habits and if you use an app at a specific time, it keeps all the information before that time. Eg. If you check ITBusiness.ca at 10:00 am then it will keep the feed ready before time for you. 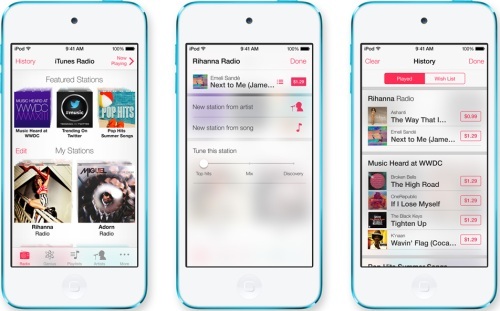 It promises to give you a choice to stream from over 200 radio stations. It will also choose the best stations for you intuitively for you based on your choices. Another good thing about it is that it is available on almost all Apple devices and costs nothing. So you can listen to your favorite podcasts and business news radios easily for free. 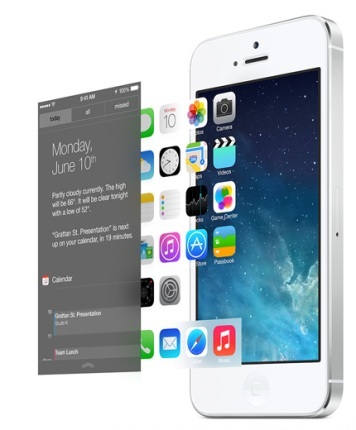 At WWDC, another major update about the iOS was the 3D interface. Apple claims that tilting the device to a certain degree will change the dimension giving it a 3D effect. Moreover, the weather app will give you a peak outside your window. So when the weather report claims that there will be a heavy snow, the app will pull out snow flakes on the screen. Apple Inc.’s annual developers conference conquered Twitter trends and tech news headlines all over the world. It unveiled its latest OS for iPhones, iPod touches, and iPads and amidst a curious crowd at the World Wide Developers Conference (WWDC). Important updates include new icons, a new voice for Siri, and new camera app among others. 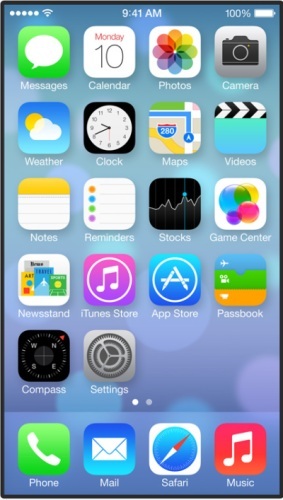 Let’s take a bite into Apple’s new iOS 7 features.